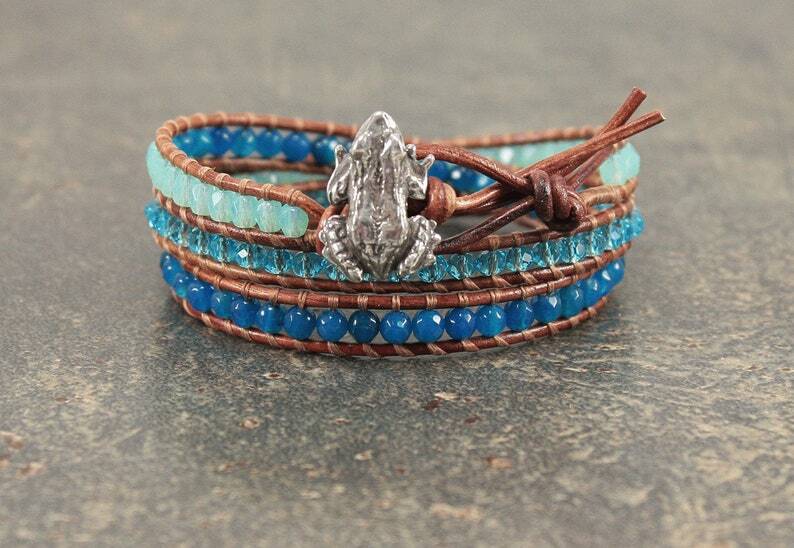 This pretty bracelet features an artisan frog button that I've paired with caramel brown leather, seafoam green Czech glass beads, sparkling turquoise crystals, and semi-precious capri blue agate stones. Each wrap of the bracelet is 1/4 inch wide. The bracelet is 21 3/4 inches long and fits an average 6 1/4 to 6 1/2 inch wrist.